Springtime rides often cross over from sweating up long climbs to chilling down rapidly on breezy descents. The new Dirt Roamer Jacket loves these days. It defends against wind and light precipitation, but with superb breathability, wicking and stretch, all in a featherweight package. Patagonoia bonded a soft, comfortable, 100% polyester circular-knit backer and a 2.5-oz 100% nylon face, finished with a DWR (durable water repellent) treatment. The jacket’s center-rear drop pocket nests between the pockets of our Endless Ride Liner Bibs for total storage efficiency. 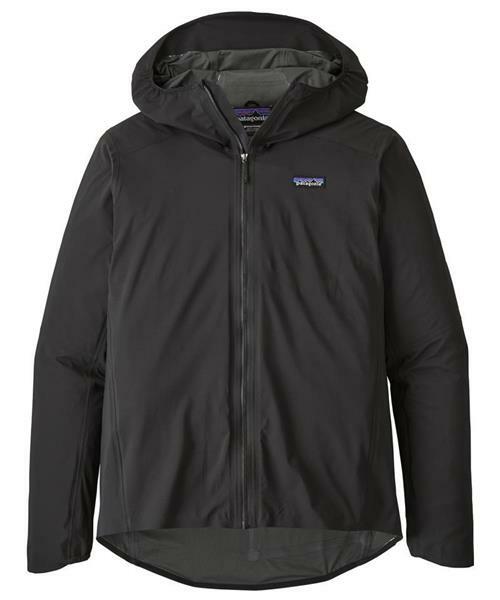 Additional detailing includes a secure inside chest pocket, a full-vision hood that adjusts with a single pull, and a loop and hook to roll and stow the hood. When not in use, pack it down small and tuck it into its own back pocket.